Under the current economic climate and with thousands of new restaurants opening every year, it is crucial your restaurant stands out from the crowd. Take the time to get to know your customers; who they are, what they like doing and what food and drink they enjoy. Knowing who your customers are and what they like doing will enable you to form establish what your current target market is. This may have changed over the years so it is important to keep up-to-date with your customers. This should help you tailor marketing communications, events and even your menu. For example, if your customer demographic is the younger generation it is likely you will have more emphasis on social media to promote your restaurant. With thousands of new restaurants opening every year, you need to stand out from the crowd. Find a dish that a) you can cook to a consistent quality and b) gives you a profitable margin on sales. Make these your signature items; get your customers talking and become famous for these dishes. Whether it is burgers, pies or even cocktails – find it, perfect it and market it. Make sure your signature dishes are prominent on your menus and you talk about them on social media, press releases and when trying to up-sell in your restaurant. Initially it may be a good idea to offer deals on these items – have a burger night where it is ‘2-4-1’ or a ‘happy hour’ for cocktails – if your signature items are good, word of mouth will spread. Working in a restaurant can often become repetitive for members of staff, which may cause boredom and/or lack of productivity and service. By continually training your staff, with new ideas and different roles, your business is likely to become more efficient and your service increased to a higher standard. For example, if not all members of bar staff know how to change a barrel then this may cause delays in service, which will not only be infuriating for the customer but also for the member of staff, who without proper training, cannot help. As long as you keep training fun and engaging (make it relevant to that member of staff) then you may be surprised how eager staff members are to learn and develop their skills. Asking customers and staff for feedback can have multiple benefits. Firstly, it can bring you closer to the customer/staff member, building a relationship of trust and respect. This can be extremely important, especially for restaurants. Secondly, customers and staff members are often full of fantastic ideas. It may pay dividends to listen to them. This can and should also be done on both a large scale and a small scale: ask staff members why do they think a certain product isn’t selling? What could be done about it? Ask customers if they have any suggestions on how you could improve your dining experience. Thirdly, asking for feedback can be a way of monitoring marketing communications and progress. As you may have clocked by now, when you register to a new site, it will often ask ‘where did you hear about us?’ – This is so that they can monitor, evaluate and optimise communications. Ask customers where they heard about you and if advertising in the local paper is mentioned a lot, maybe it is worth increasing your spend on that marketing channel. One important thing to mention here is that bad feedback is good feedback; it gives your company the opportunity to improve and work better towards meeting customer needs. The problem isn’t the bad feedback, it’s finding it. It is often touted that over 90% of customers who have had a bad experience do not express it, they simply walk away. The food you serve in a restaurant and the service you provide are not the only factors determining how the customer will rate your ‘performance’. It is important to make sure that your restaurant is a welcoming environment – it is clean, nicely furnished and is equipped for your target market. Clean: Make sure tables and surrounding areas are clean when setting up for customers – is there food on the floor? Is the cutlery clean? If you do not have a clean environment in which customers can enjoy their food, they may not even order, they may get up and leave. A customer would be much happier waiting for a table to be cleaned than being seated straight away and having to sit in a messy and dirty area. 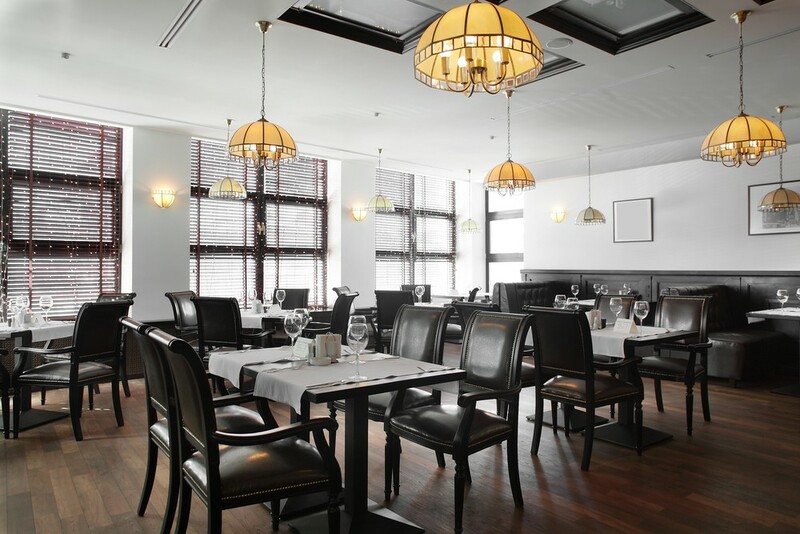 Nicely furnished: The furnishing of your restaurant is often the first impression that your customers have. Does it reflect your business? Does it send the right message? Equipped: Make sure you have the facilities available that your target customers are likely to require. For example, if you are a family restaurant then you are likely to need a baby changing room. Do you need a TV showing the football? What background music should you play? You can find all of our latest hospitality sector news and newsletters here. Ian Bryan heads up the firm's Business Services Department, which is dedicated to helping the smaller business. Ian acts for a wide range of sole traders, partnerships, and limited companies providing accounting and tax advice and practical business solutions. For more details and advice, please contact Ian on [email protected] or 0114 266 7141.